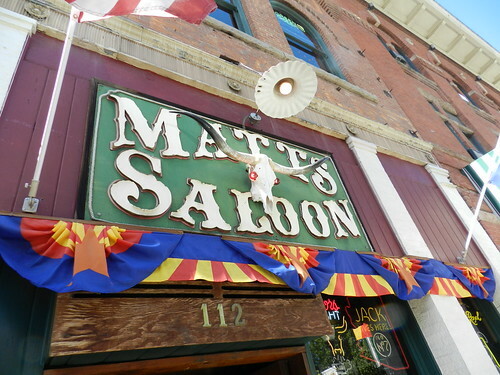 Mali Mish – Day 9: A Day in Prescott, AZ. Day 9: A Day in Prescott, AZ. We had been anticipating rain today but it never did materialize. It was the reason why we rushed up to Jerome yesterday but today turned out to be a bright day with crispy fresh air. My favorite kind. We headed into town to find ourselves some grub but didn’t really know where to go. Since Prescott was a last minute diversion on this trip, we had not spent any time researching placse to eat and things to do here. We pulled into Prescott and parked near the the Courthouse Square at the middle of town. 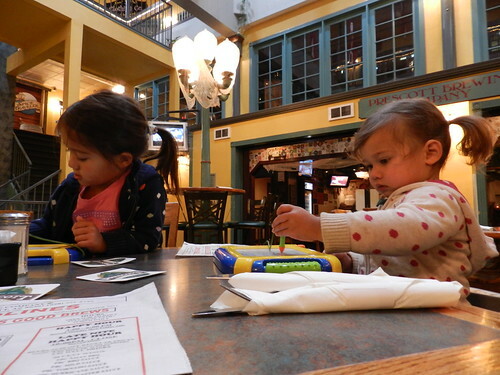 The first place we saw was the Prescott Brewing Company. We knew nothing about it and we were hungry so we gave it a shot. The food wasn’t bad but it was just like any other BrewCo type restaurants with the same lineup of ‘microbrews’. 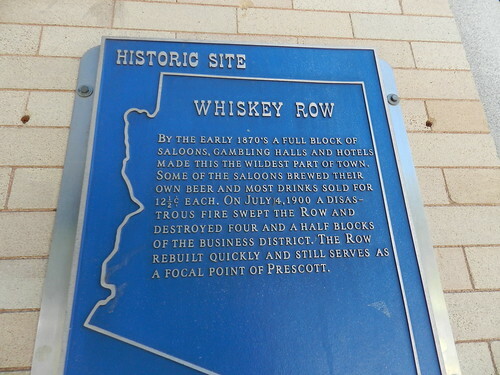 If we would have known that we were about to take a stroll down the historical ‘Whiskey Row’ of Prescott, we would have waited to eat at a real western saloon. 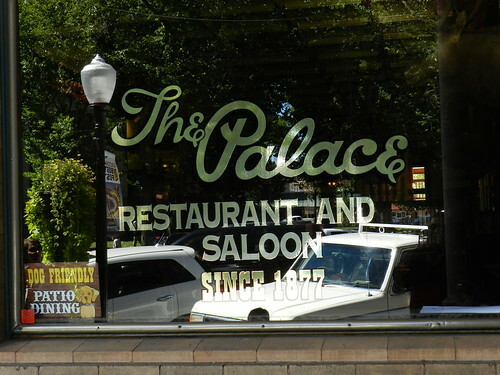 Or The Palace, oldest restaurant and bar in all of Arizona. 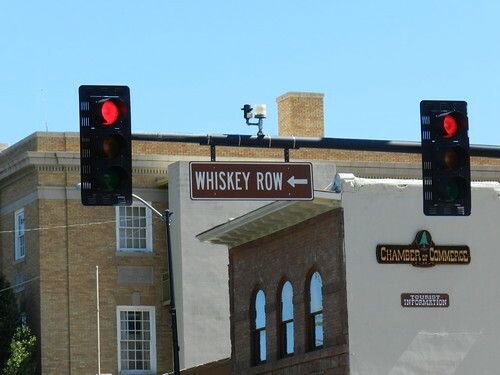 Whiskey row is a part of downtown Prescott that is filled with historical buildings that if they could talk, they would likely tell the most amazing western tales ever told. Something that is a recurring theme in all of these old western towns is that so many of them have suffered a lot of destruction by fire. It makes any that are left standing today all that much more historically precious. 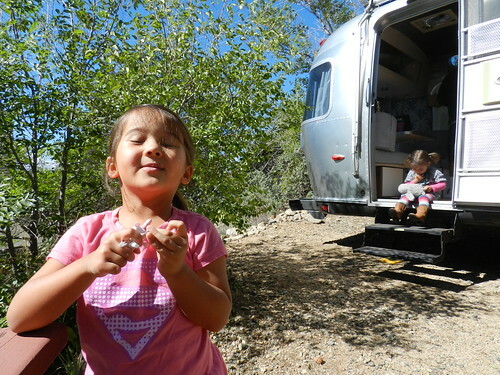 Yoda finally had a nice day of lounging around in the Airstream at the campsite while we were out of her way. 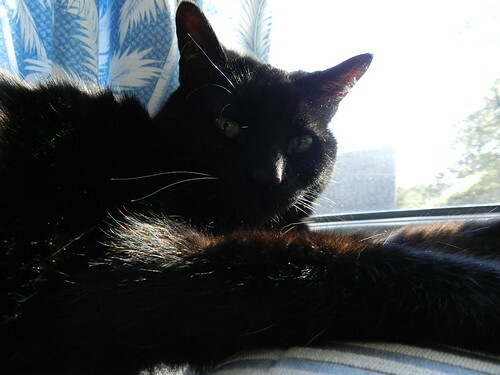 We have put a lot of miles under us in these last few days and she is not a big fan of that. 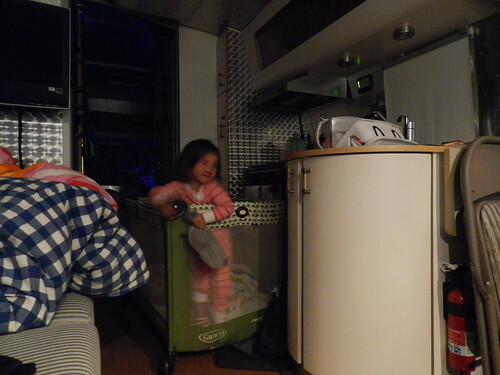 Mila did not want to go to sleep tonight. She stood up in her crib wiggling around and making faces for hours while we caught up on work and the blog. I think the high altitude is finally getting to her. Time for us to get back down to sea level. Who put all this dirt here? Day 10: Prescott to Las Vegas via Hoover Dam. One Response to Day 9: A Day in Prescott, AZ. Too bad it caught fire again yesterday!